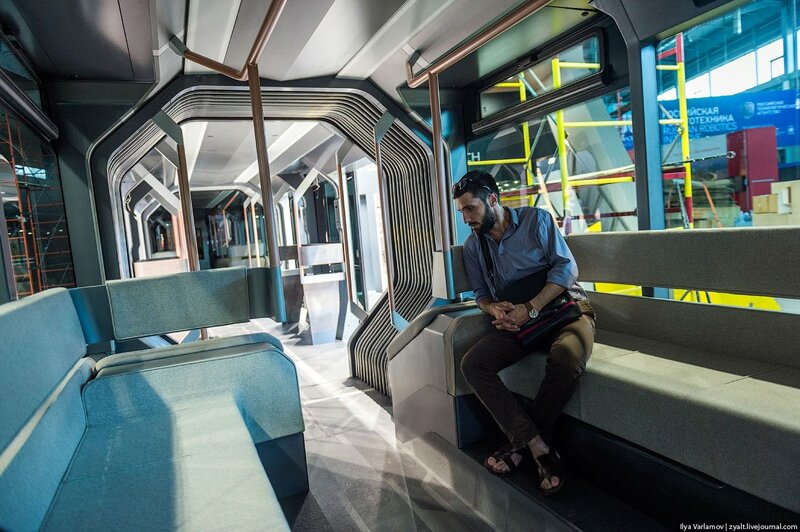 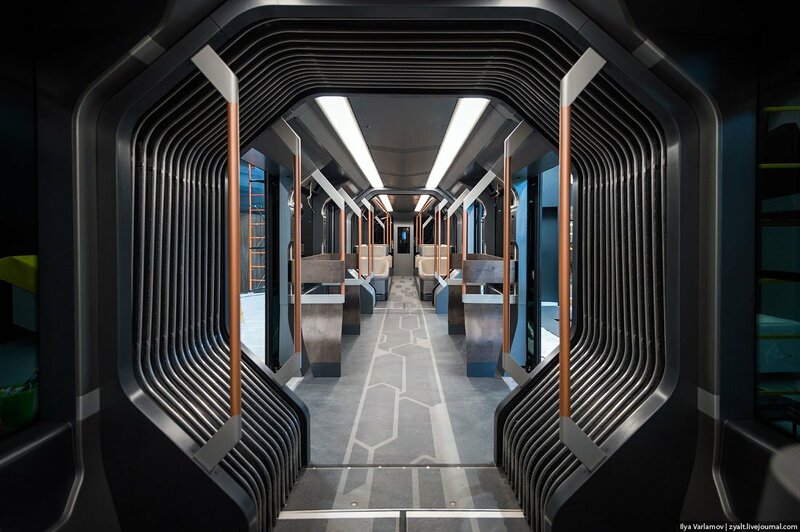 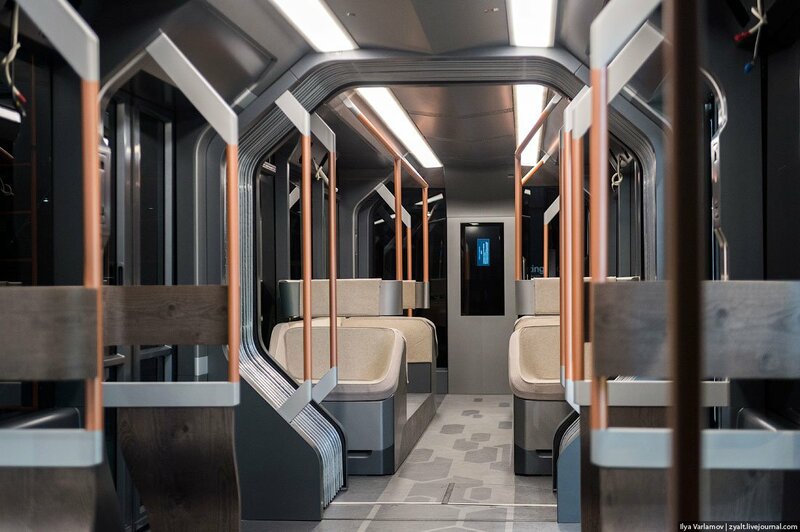 Indeed, the new Russian commuter tram named as the Russian One appears to come from some science fiction movie. 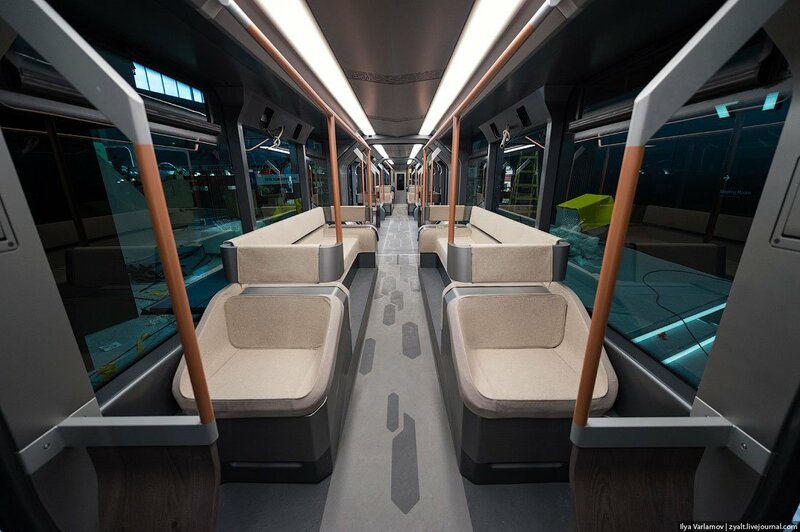 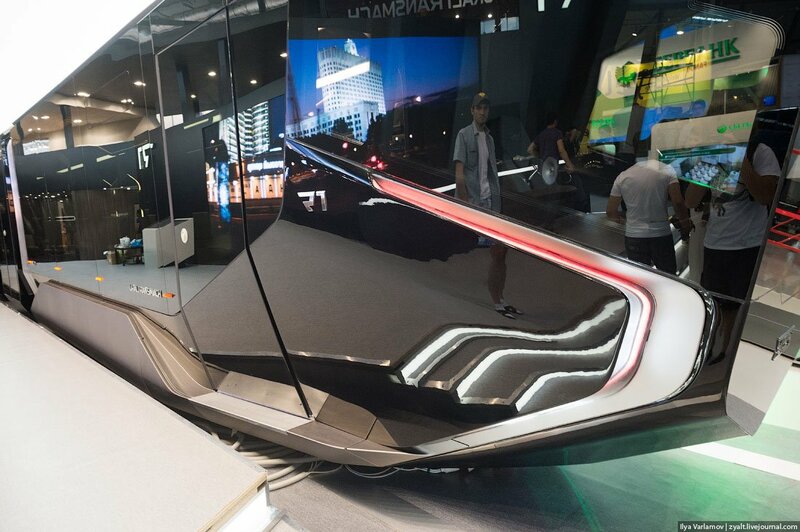 It has some very high-tech and glossy features like it uses the sliding glass doors, covered sofas for the comfort of the passengers as well as the futuristic LED lightning. 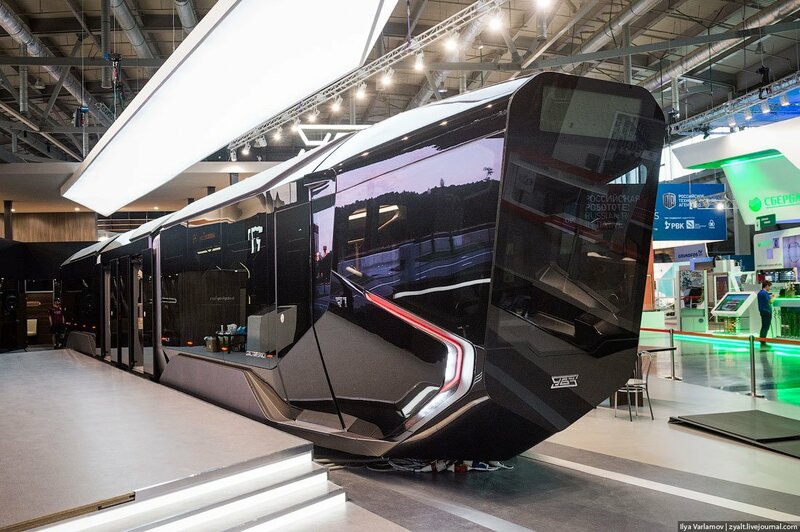 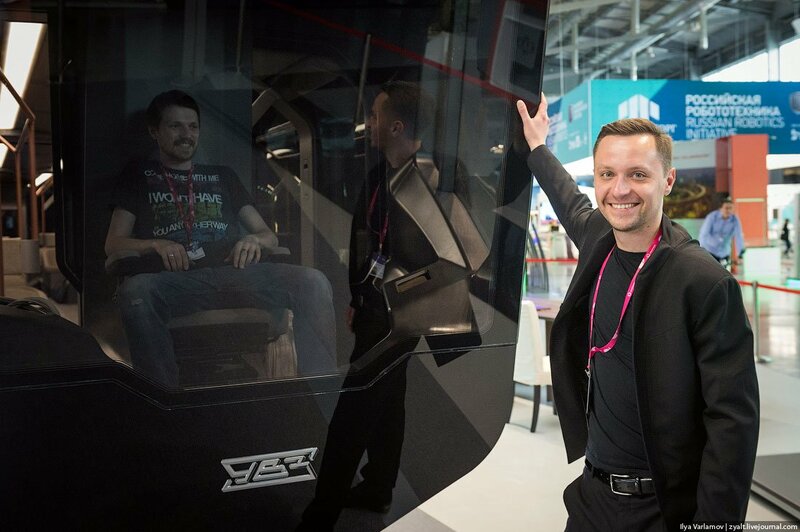 Discover this incredible train, thanks to the photos of Russian One prototype taken by Ilya Varlamov right in the showroom. 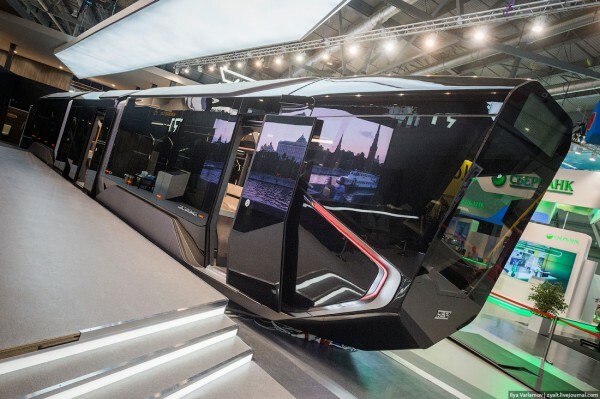 The glass paneling of Russia One is indeed glossy. 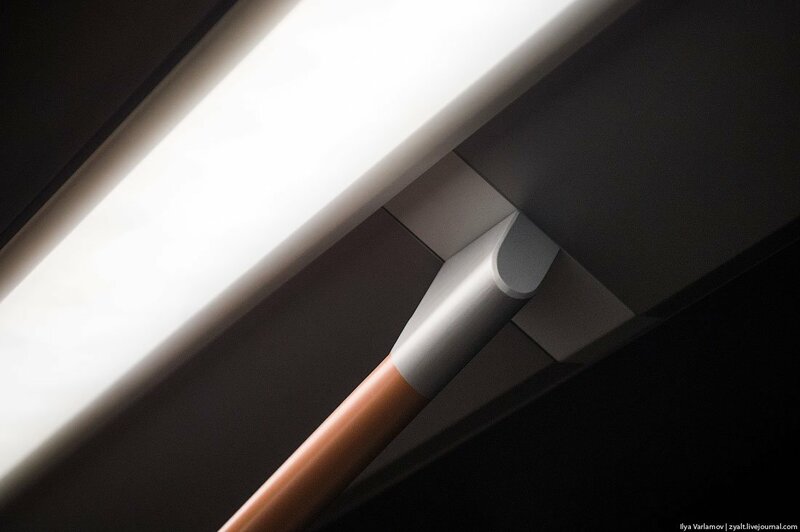 LED lightning is not only energy efficient, but also it changes its color according to the time of the day, bright in day and dim at night. 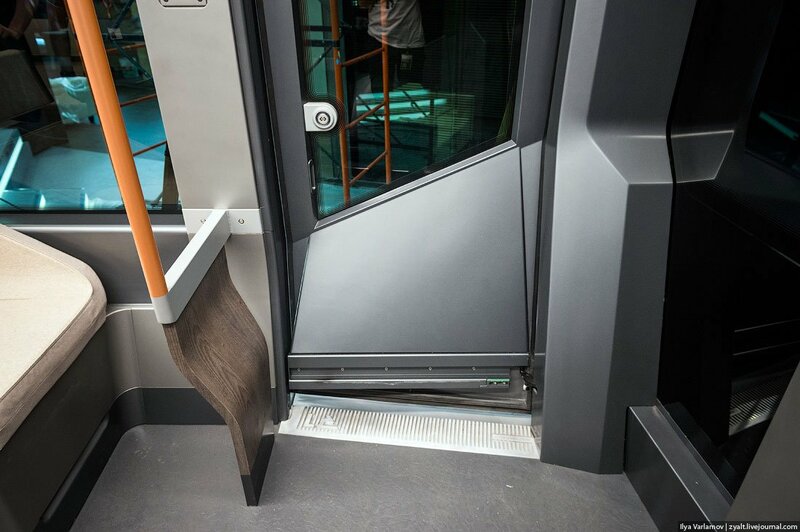 The beautiful combination of linoleum on the floor, aluminium for making poles and wood for the making of handrails. 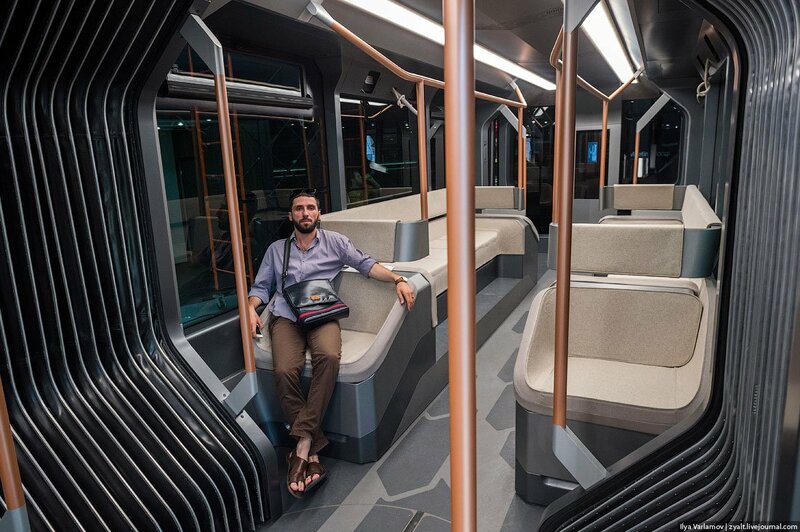 The use of Spacious sofas indeed give envy to relax. 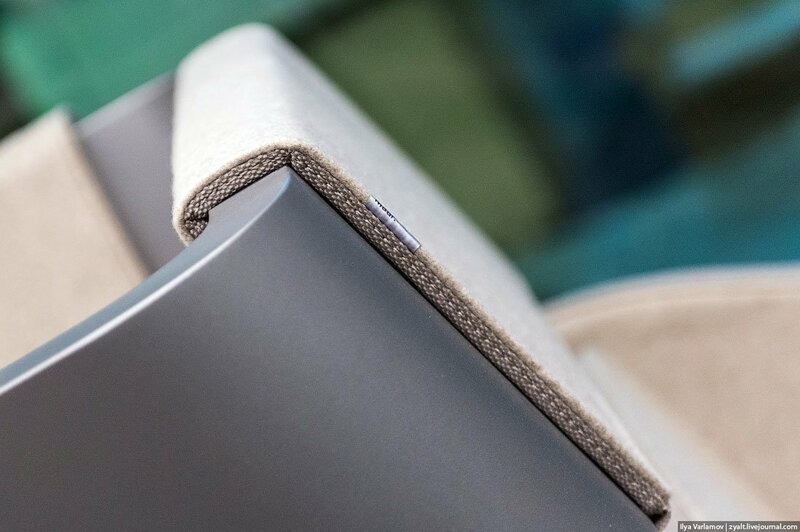 Gorgeous felt is used to cover the seats. 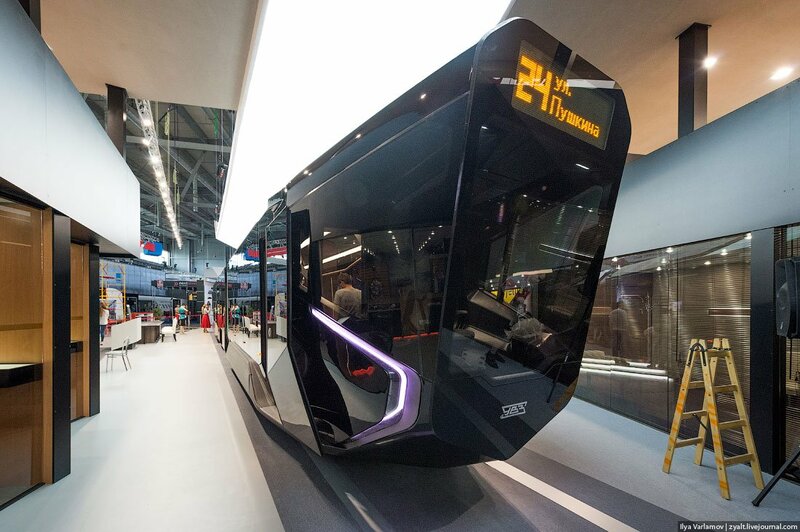 It is an electric tram that can travel 50km after one full recharge. 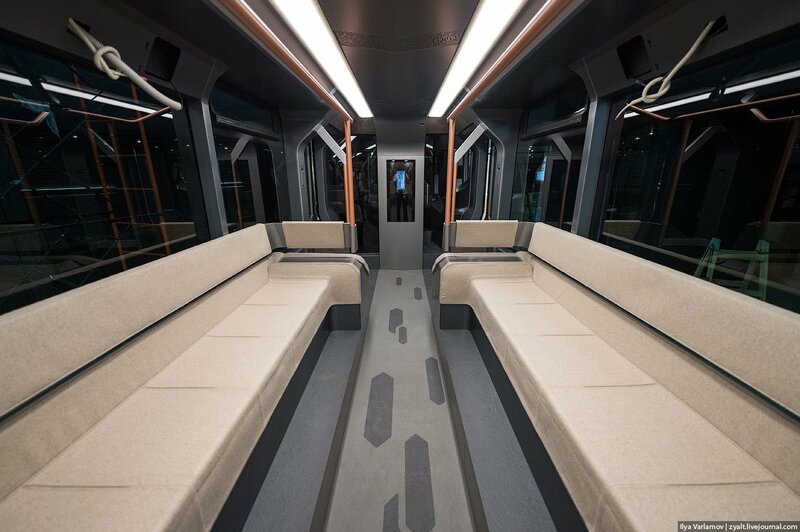 The LED lights on the exterior of the tram have the ability to change its color. 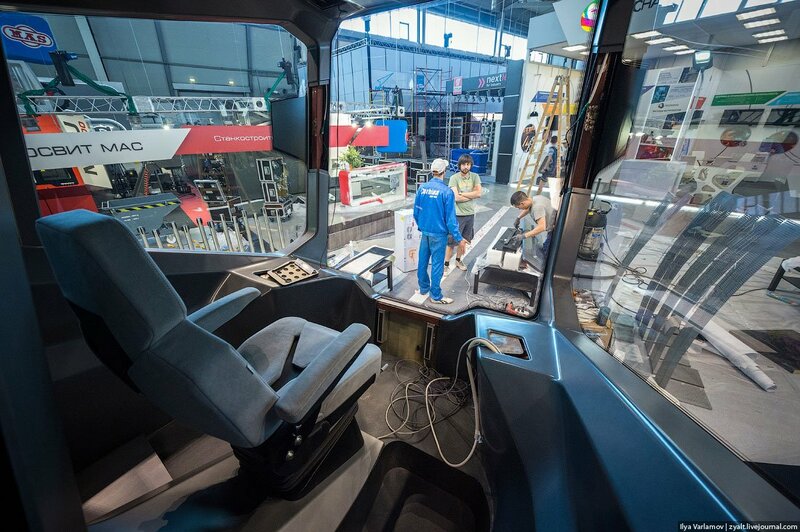 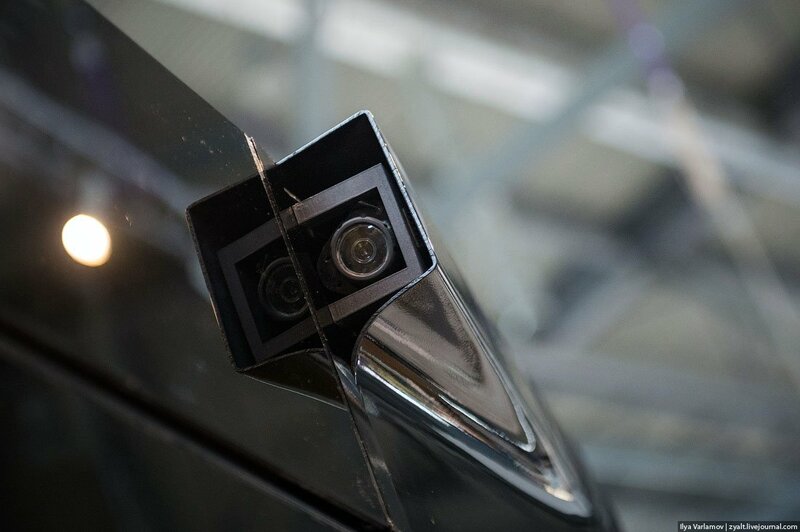 Cameras are fitted throughout the body of the tram which are used by the tram driver to monitor the tram. 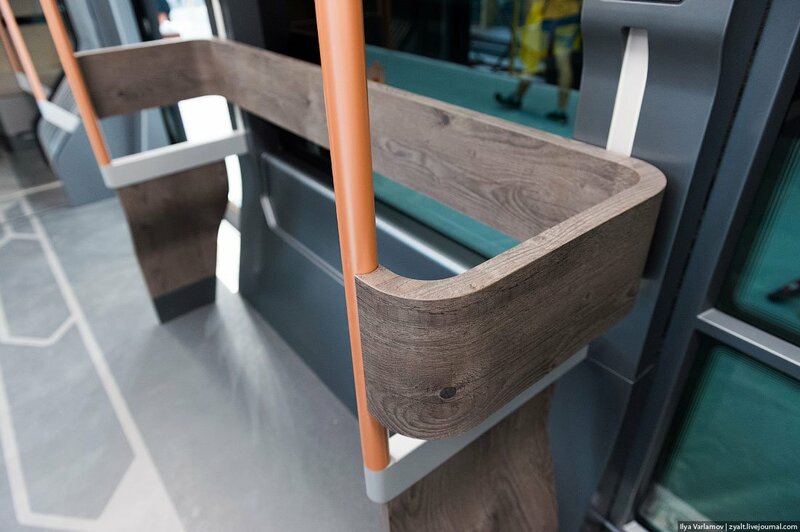 We cannot but appreciate the attention to the detail. 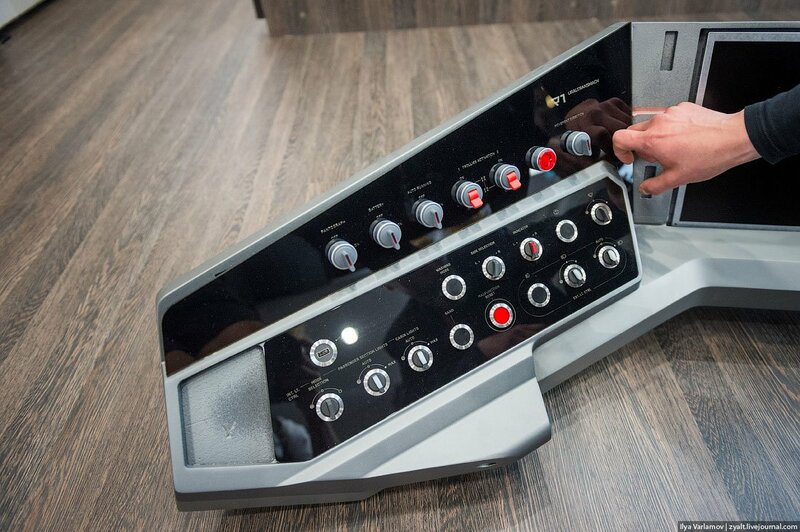 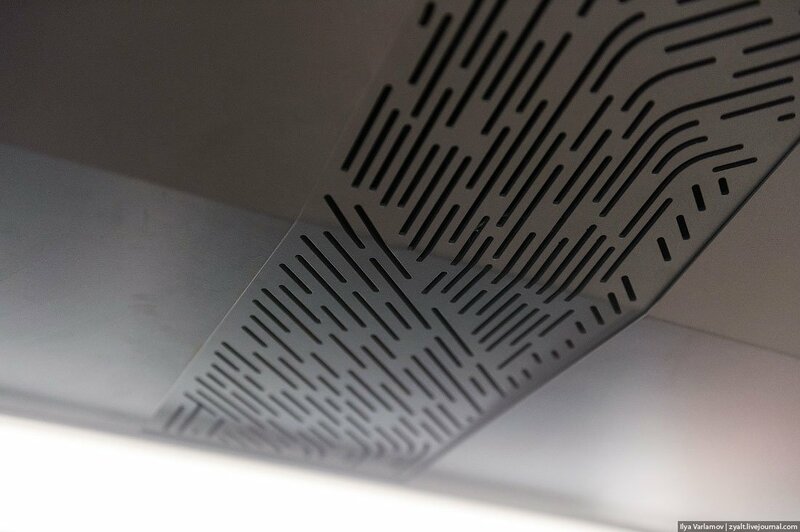 Speakers are installed inside the air-conditioning vents. 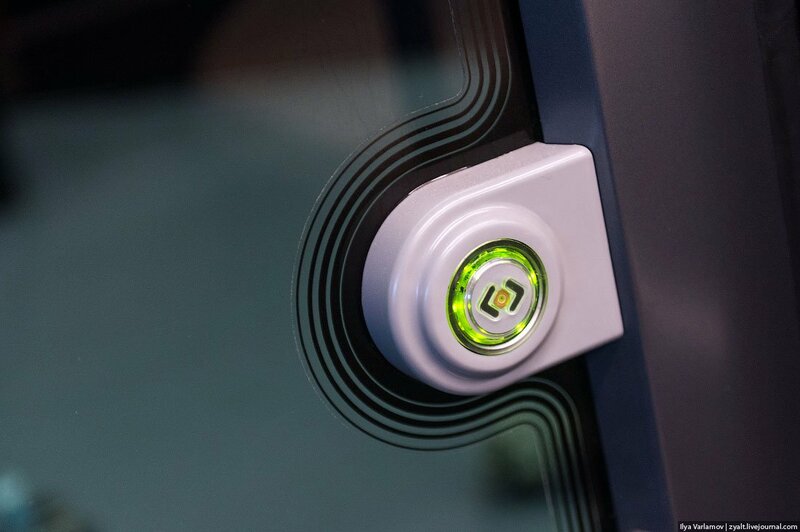 Touch screen buttons to open the door. 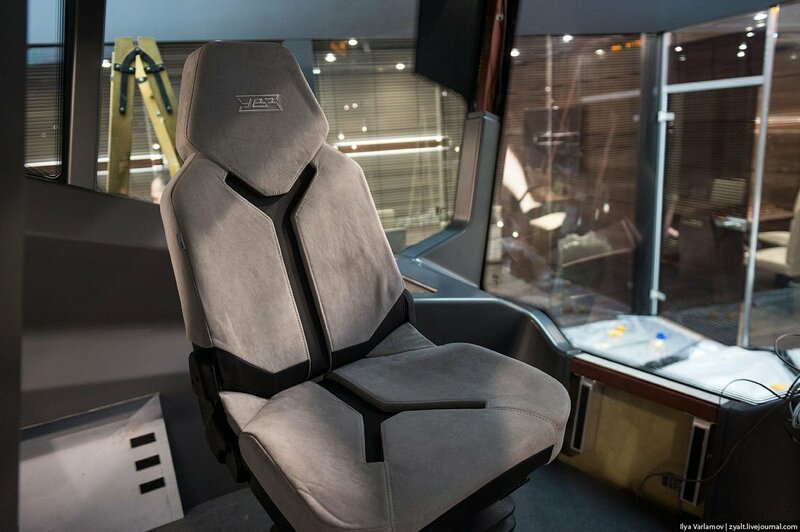 Here, we are showing the first-class seats.